And so we come to the end of the road for our dear Ponds and welcome a new companion for The Doctor....soon enough. 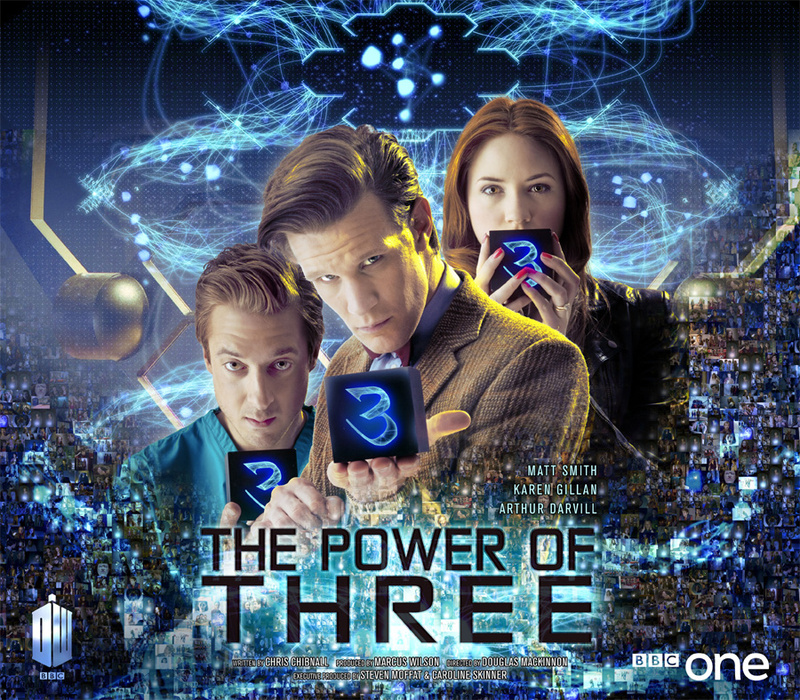 For now, through the magic of DVD, we can relive those final Pond adventures with the first half of Series 7! 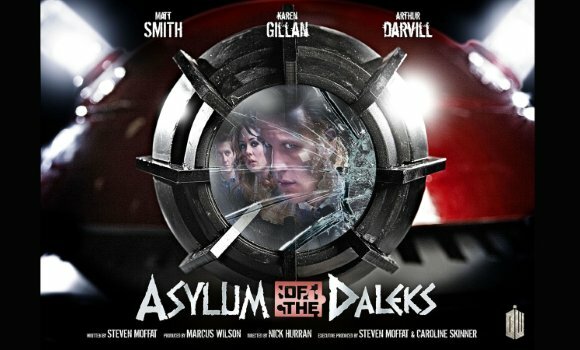 Asylum of the Daleks- The Doctor and company are tricked into a rescue/mission of destruction when insane Daleks threaten to spill into the cosmos. This episode includes a certain female character who had me generating heart bubbles so fast I went dizzy. 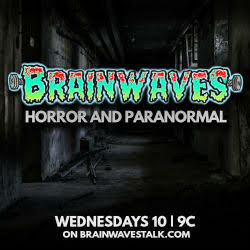 It's funny, creepy and everything you'd want in a season opener! 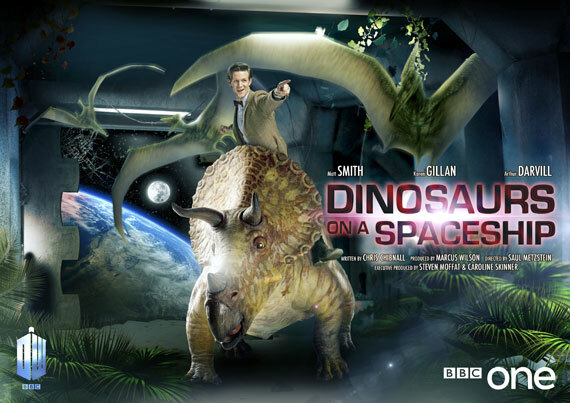 Dinosaurs on a Spaceship- The Doctor and Ponds +1 (Rory's Dad) join forces with a big game hunter and ...umm...Queen Nefertiti ..to stop a spacecraft from cashing into Earth. A SPACESHIP FULL OF DINOSAURS!!! It's Jurassic Park in Space with a perfect blend Who wit and charm. 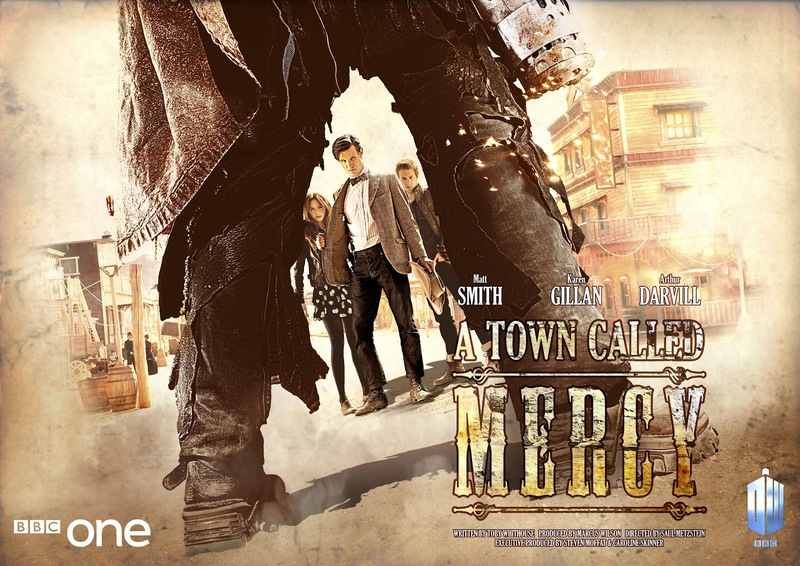 A Town Called Mercy- It's a showdown in the old west where a hulking cyborg is gunning for a certain Doctor. There's surely an axe to grind, so the Doctor and friends must unravel this riddle before innocent folks come under fire....LASER FIRE!! 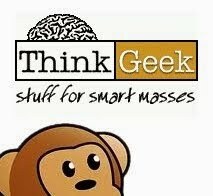 This episode starts off with a bit of silly and becomes tense as it progresses, causing the viewer to ponder moral dilemmas of right and wrong during war time. Though the content is scifi in origin, and vintage WHO, the topic is very relatable in our daily lives. 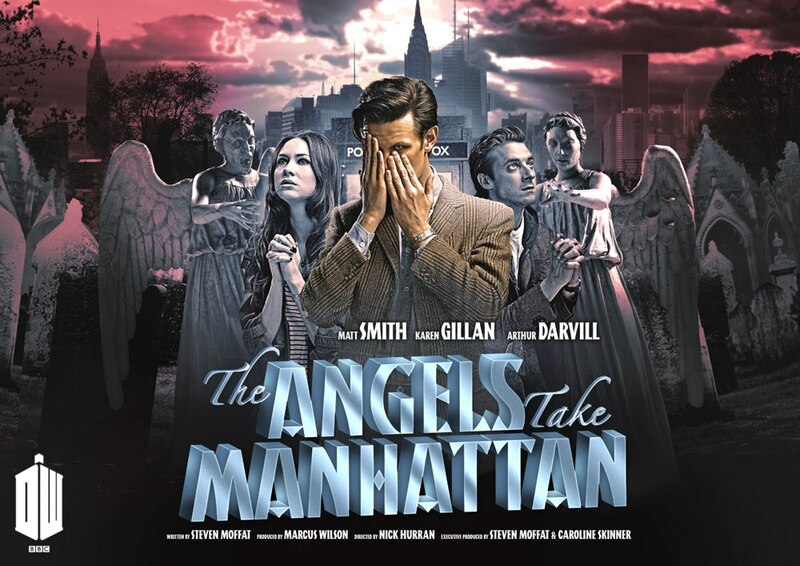 The Angels Take Manhattan- Those ultra spooky Weeping Angels are at it again, this time invading retro New York City and imposing themselves into a noir-esque mystery that quickly bridges time and space and (without surprise), engulfs the Doctor and Ponds. 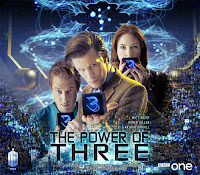 The trio, joined by River Song, must find a way to expel the Weeping Angels from New York, lest they trap more hapless humans and feed off the temporal anomalies for all eternity. This episode strikes an odd chord. With a greater number and variety of Angels, they become less creepy and lose impact. This loss is balanced by the weight of the content with Rory's life hanging in the balance and a finale as gut wrenching as they come...especially for die hard fans of this newest incarnation of the show! Be prepared for heart ache! 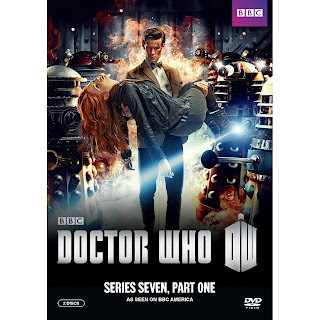 This 2 disk set also includes bonus features with..
Asylum of the Daleks Prequel which has the Doctor having tea with a robed character who acts as sort of Doomsayer. It's a throw away bit, but you'll watch it anyway. The Science of Doctor Who is the gem of the set with actors and comedians providing geeky enthusiasm to the far out scifi concepts of the show and, as counterpoint, real scientists discussing the practicality of these devices. An excellent addition to your collection, to be sure! Pond Life is a quirky series of quickies with our favorite companion couple trying to lead normal lives amid the comings and goings of the Doctor, making their lives complete chaos at every turn. Heeeesterical. The Making of The Gunslinger is a futuristic look into the creation of the cybernetic soldiers from the episode "Town Called Mercy", narrated by the creator IN the show. Super futuristically creepy..sort of the exact opposite of the birth of Robocop. 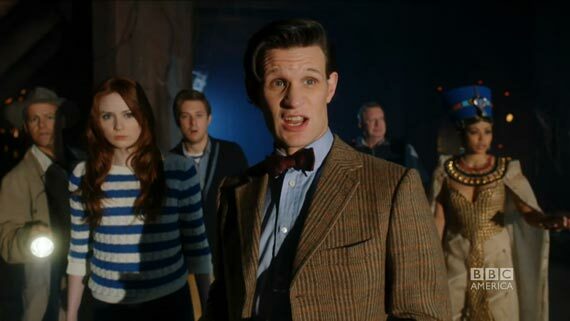 Finally we have Doctor Who at Comic Con, which is exactly what it sounds like. Matt Smith, Karen Gillan and Arthur Darvill take to the crowded halls of San Diego Comic Con and bring you along for the ride with bits from their panel, interview moments and just walking about taking the the enormity of it all. This cast is very charismatic and this shines through even when they are just being themselves. While we here at Idle Hands are strong believers in waiting for the complete collection of a season, there is no telling if that set will include things like "The Science of", Pond Life and the Comic Con bits. Surely, a lot of this is available online, so that leaves the choice in your hands. If you want a truly complete collection, you will be getting this. If you can turn against your geeky nature and resist for the 6 months or so it may take for the full set to be released....you go right ahead and make that attempt. To help you make up your mind, you can CLICK HERE and pre-order this set for 40% off!